ThreeJars Daily: How much for that loose tooth? How much for that loose tooth? When my 5 year-old lost her first tooth I posted a question on Facebook asking how much the tooth fairy delivers these days. The answers of $20 to $30 were shocking – and completely out of the question for me. What’s the going rate these days for the Tooth Fairy, birthday presents, and more? We did some investigating to find out. Going along with the $20 per tooth rule that supermodels and some of my friends are following, by the time a child loses all 20 of his baby teeth, the tooth fairy will be out $400. 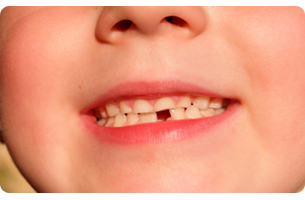 Thankfully, $20 doesn’t seem to be the norm: According to a recent study by Visa, 94 percent of children receive an average of $3 per lost tooth. “Don’t give more than $2 or $3,” says Godfrey. “The tooth fairy is supposed to be a little surprise treat, it’s not a huge reward.” If your kids gripe that they get too little, direct them to the inflation calculator on the Bureau of Labor Statistics Web site to show them what they’d get if you go by the same rate you received as a child. The 50 cents I received from the Tooth Fairy in 1980 would be worth a paltry $1.32 today. Suddenly, the $3 I wound up giving my daughter didn’t seem so bad. Feel like you’re giving too little? Consider first daughters Malia and Sasha Obama, who get a reported $1 a week – and that’s only if their chores are done. Godfrey recommends going a little higher. “If it’s in your budget, I generally advise giving kids the same amount as their age, or half their age,” she says. (So a six year old would receive either $6 or $3). You can also use the Allowance Calculator on ThreeJars.com to see what the allowance you got as a child would be in today’s dollars, and use that amount for your child. But whatever you decide, don’t be overly concerned with what other parents are giving. “Remember you’re instilling your values, and that’s a lesson your kids will carry with them forever,” says Godfrey. When not playing the Tooth Fairy, Amanda May Dundas is a freelance writer living in the lower Hudson Valley in New York.